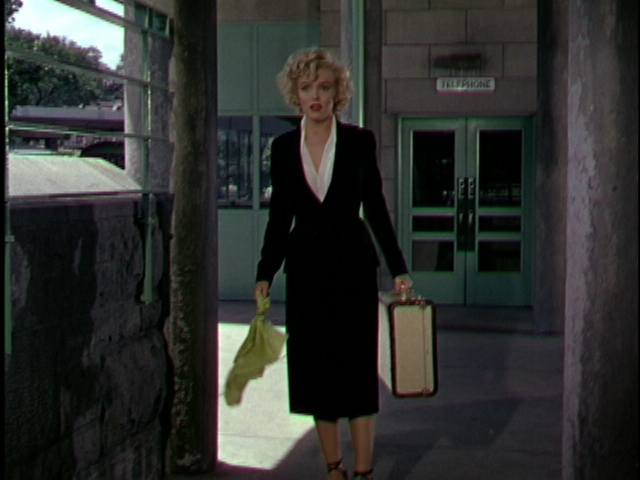 When it comes to style in the movies, the story is long with Marilyn Monroe. One need not be a film, costume design, or fashion historian to know it--Marilyn is perhaps the most celebrated star of them all. Her stylish career started in front of the camera as a swimsuit model and is best known for her time in film dressed by costume designer Travilla, a long loving friendship and partnership that started in 1952 with hits Gentlemen Prefer Blondes (1953) and How to Marry a Millionaire (1953). 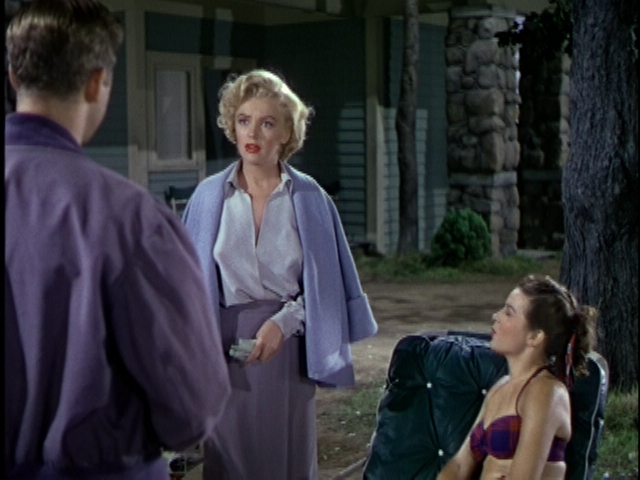 But it was earlier that same year, after brief parts in black-and-white in All About Eve and Asphalt Jungle (both 1950), that things really started to roll for Marilyn and they did so in technicolor. 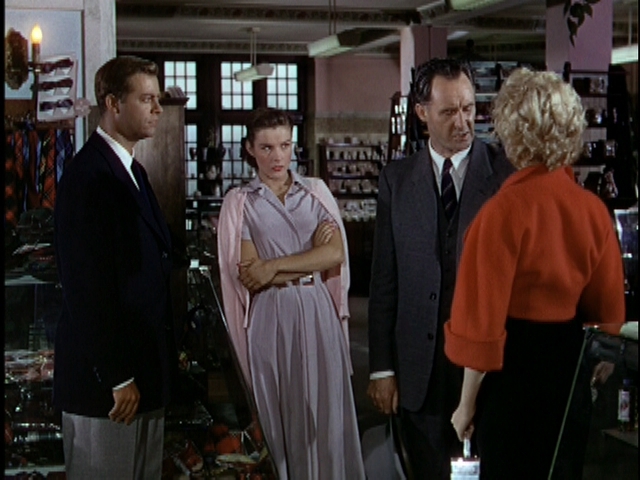 Her headlining performance as a femme fatale in Henry Hathaway's Niagara (1953) marked the beginning of her breakthrough. 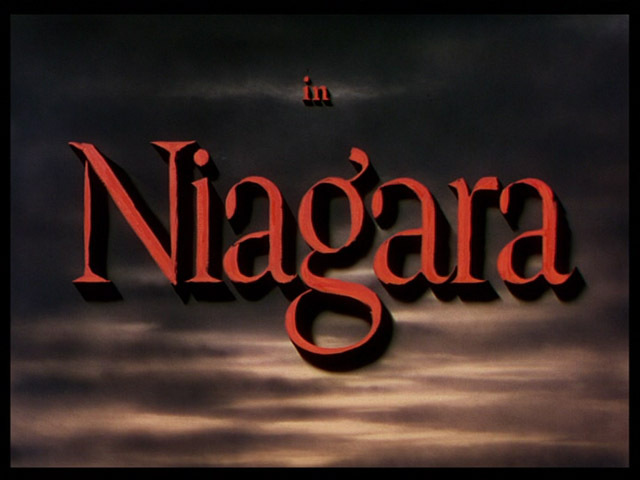 This moment owed much to costume designer Dorothy Jeakins and make-up artist Allan "Whitey" Snyder--because of both of their talents, Niagara was immediately influential in fashion and has continued to be an inspiration today. Dorothy Jeakins was a Southern California girl. She was born in San Diego and grew up around Los Angeles after largely being abandoned by both her parents. She always had an aptitude for drawing and studied at the renowned Otis Art Institute, finding her calling as a fashion illustrator. In that capacity, she went to work at Magnin's department store and was soon found by an art director from 20th Century Fox. He shared his discovery with legendary director Victor Fleming (Gone with the Wind), who immediately hired Dorothy for his next picture Joan of Arc (1948). But it soon became clear that her talents extended beyond being just an illustrator and, midway through production, Fleming promoted her to costume designer. Even though this was her first film...and even though she had never done costume design before...Dorothy would go on to win the Oscar. It happened to be the very first year the Academy even awarded one for costume design. Over her career, Dorothy would win a total of 3 Oscars at different studios--she was one of the few costume designers at that time to be freelance. She became known as a "Director's Designer." This description meant that she fully disappeared into the various productions she worked on, into the characters and their stories, and never seemed to assert a singular style voice. This was in contrast to other costume designers such as Adrian, for example, who had a recognizable aesthetic even as he designed for different stars. 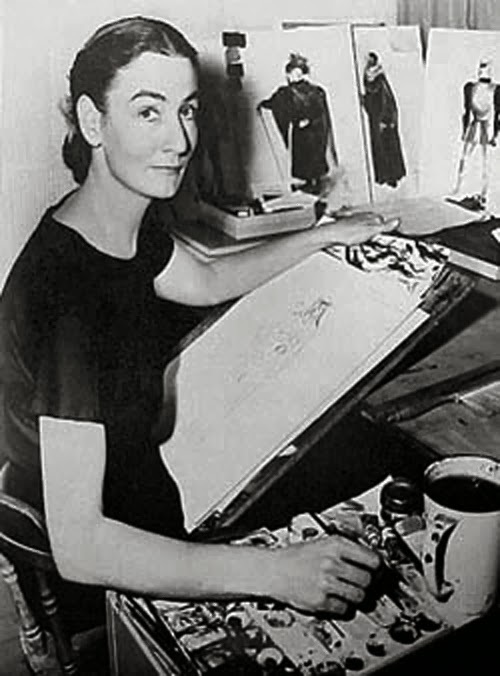 It is perhaps because of this particular strength that Dorothy is less known by name though the same cannot be said for her reputation in the industry; she is very much a "Costume Designer's Designer" as well. Her work widely ranges from Samson & Delilah and Night of the Iguana (1949 and 1964, respectively, her two other Oscar wins) to favorites like The Way We Were (1973) and The Sound of Music (1965). Leading lady Julie Andrews has said her wedding gown for the latter was her favorite of all her costumes...in it, she felt her most beautiful. 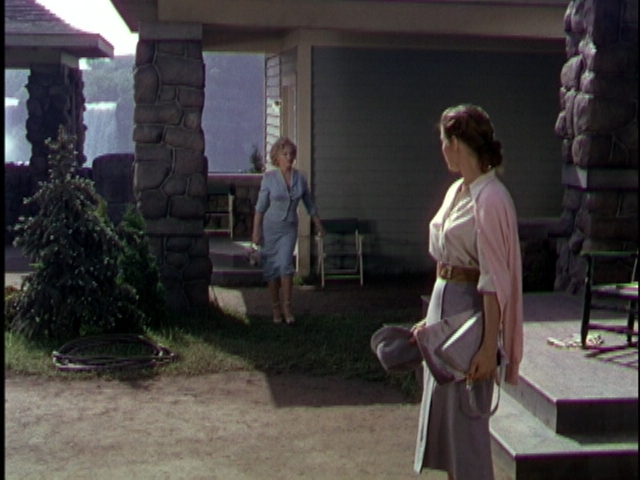 It's clear that Marilyn, too, felt this magic inside Dorothy's costumes and they really helped her stand out in Niagara. One stroke of genius was the now iconic hot pink dress. Interestingly, Dorothy actually tried and tested this same dress in red. 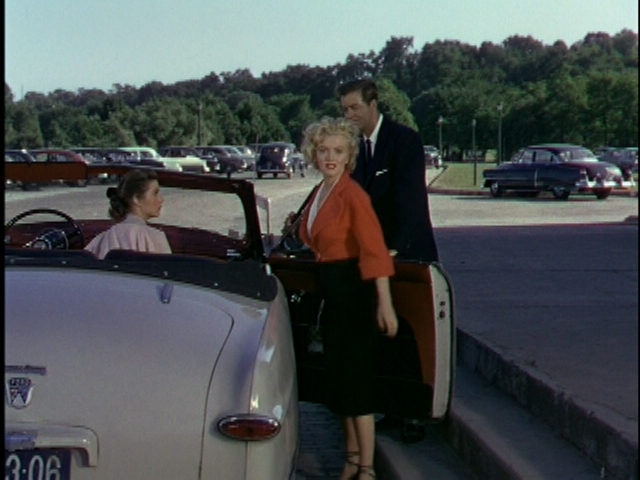 You would think that Marilyn in a red dress would be as hot as you could get. But side by side, there was no question it was this particular pink that was truly hot. 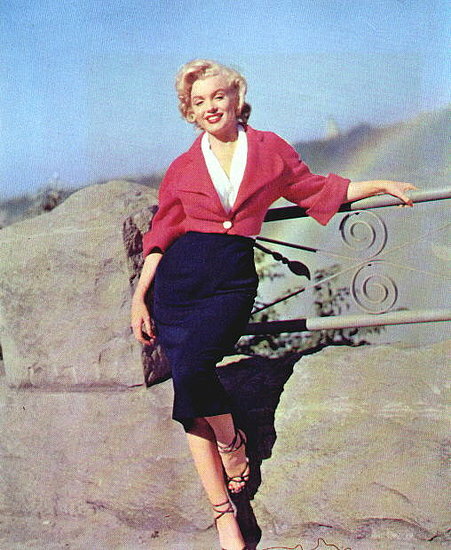 For one, Marilyn's skin positively glows in the color. Of course pink would go on to become one of her signature colors, with this followed up by another iconic pink dress the same year in Gentlemen Prefer Blondes. Though there are other great costumes in Niagara, including some sublime suits that are fit to perfection, it is this dress that everyone remembers. It made such an immediate impact in fashion that copies were manufactured and sold out in 1950s department stores. Copies and costumes of it continue to be sold today, in both pink and red. And the Niagara dress acts as an ongoing inspiration to those in high fashion as well, from the elements of its design to the color itself. Because that fuchsia flatters a variety of skin tones, it has become a steady trend since 2010. 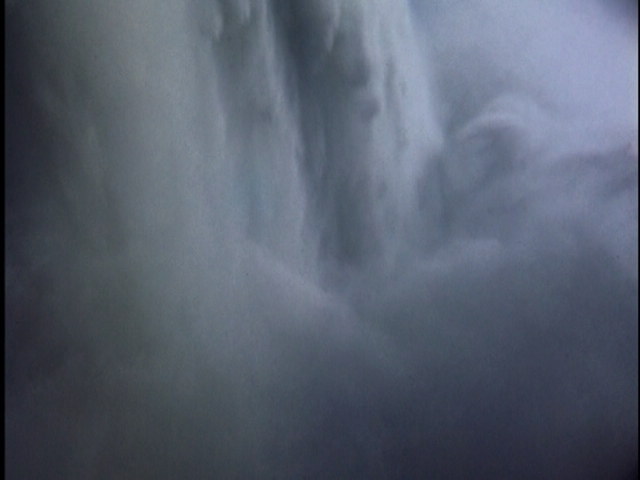 Yet another aspect of Niagara that is perennially on trend in fashion is "The Look" of Marilyn's makeup. This was the result of her long relationship with artist Allan "Whitey" Snyder (above), who would be with her from her first Fox screen test in 1946 to her funeral in 1962. When Niagara came along, they both knew it was an important moment in her career and worked to make the most of it. 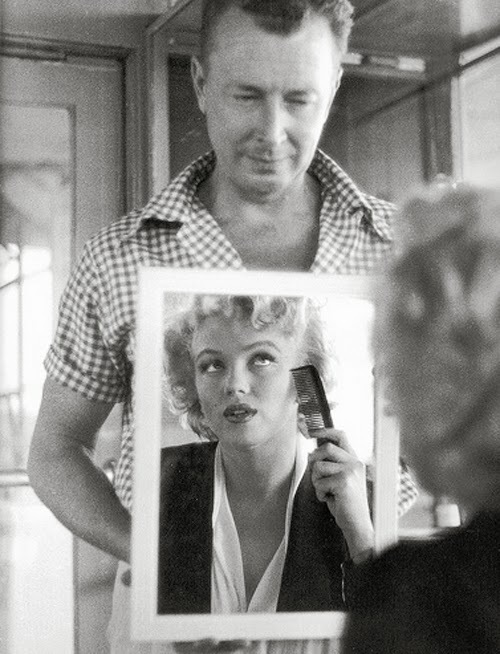 He and Marilyn spent days together, locked in a room, committed to finding the perfect look. 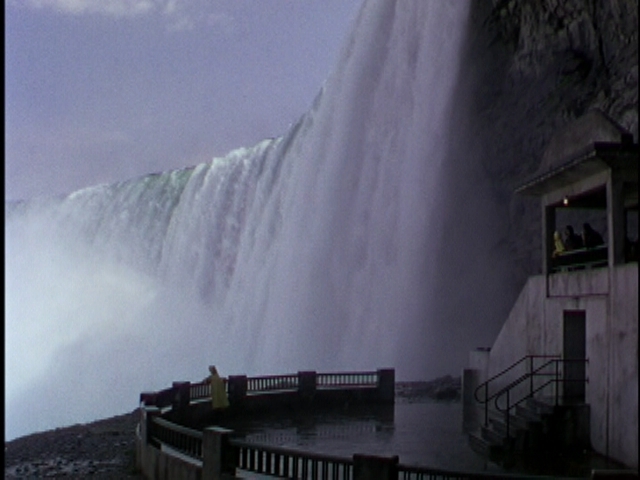 The one they finally created made its debut in Niagara and it's now one that has become iconic. Marilyn's dewy skin, most often the result of using Vaseline as a moisturizer. Features perfected by foundation (either Erno Laszlo or Elizabeth Arden) and a crafty combination of contouring and highlighting--brow bones, cheekbones, nose, forehead, and chin. This is a technique that is extremely popular today, and known for transforming the faces of celebrities like Jennifer Lopez and Kim Kardashian. Marilyn's doll eyes were created with seven shades of shadow, and made to look even more open with false lashes and multiple tricks using white eyeliner. And of course the red lipstick, which came as the result of mixing several shades together with pearlescent white eyeshadow applied on top. This truly made a signature color that would be difficult for others to recreate. Now this look is copied countless times, and it all started with Niagara. 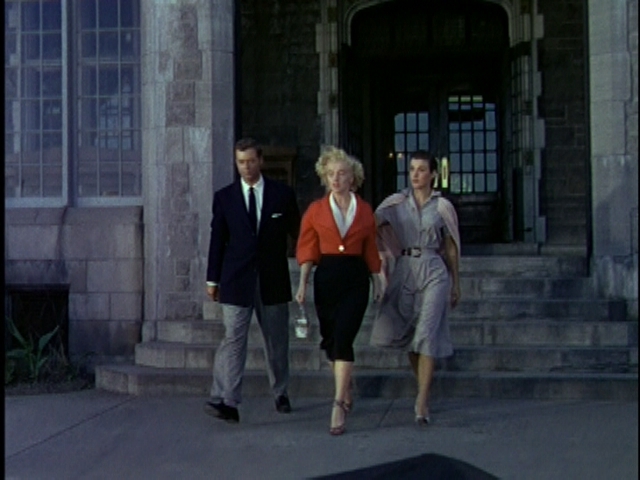 Though this movie is often overlooked in Marilyn's filmography in lieu of her huge hits with Travilla (which of course includes the most iconic gown of them all in The Seven Year Itch), Niagara really should be celebrated for its ground-breaking style. One artist responsible for this--costume designer Dorothy Jeakins--only worked with Marilyn once, yet created the first dress of hers from film to become iconic. And another--make-up artist "Whitey" Snyder--remained with Marilyn throughout her career, but it was Niagara that was their breakthrough in creating "The Look." 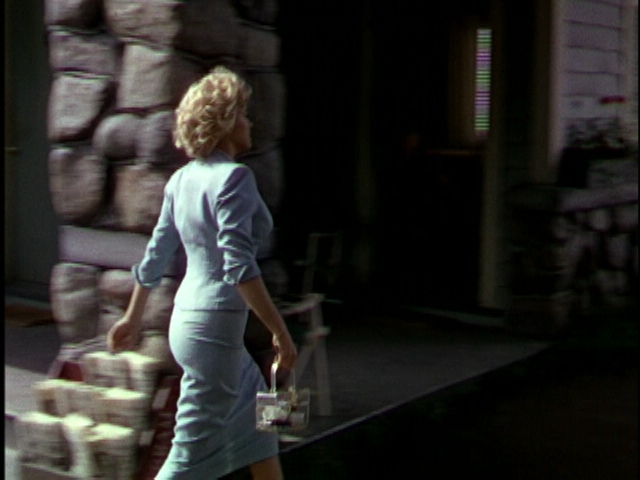 As the devilish temptress in this 1950s film noir, Marilyn not only shows some serious acting but how she stared to stun audiences with her signature style. will she meet the same fate? 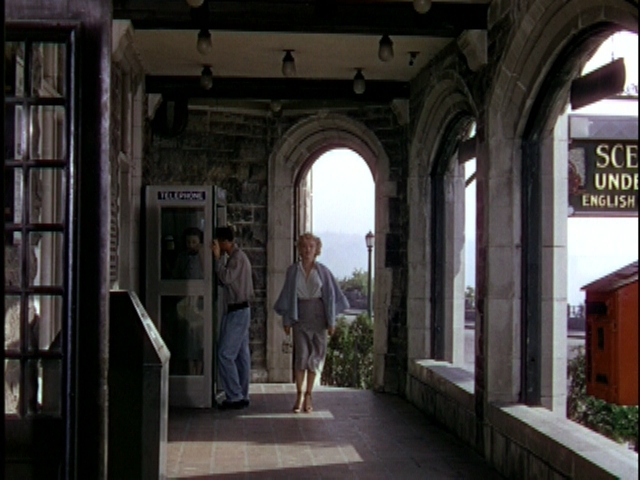 I love Marilyn's wardrobe in "Niagara." It's like a more provocative version of the clothes Joan Holloway wears on "Mad Men." Very much that same hourglass, va-va-voom silhouette! She looked especially gorgeous in the shocking pink dress. A very good description, Melissa. Joan is dressed "conservatively" for work on Mad Men, but her clothes are cut in such a body conscious way that we see every curve of her fantastic figure. So true of Marilyn in this movie as well. I mean, WOW. 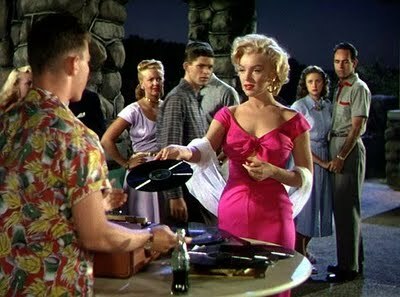 And Marilyn shows how to wear pink in a very womanly way as well. 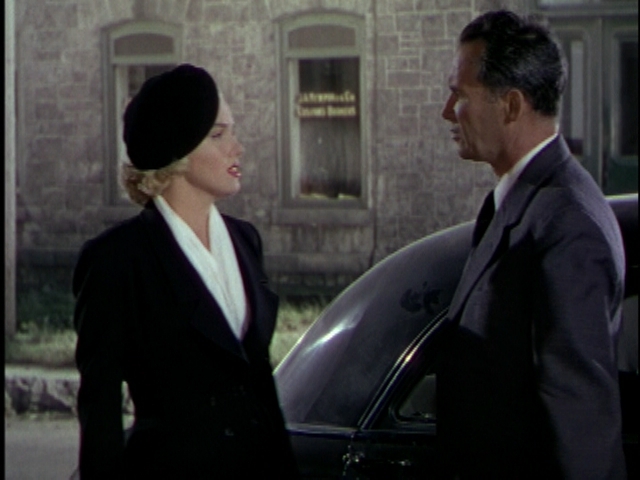 Marilyn photographs so well, and has a lot of charisma, and she is a joy to watch...except for the acting in this movie. (When she opens her mouth, the mystery is lost). Her acting wasn't the greatest, but having said that, she did do a great scene in the hospital and as someone afraid for her life when running away from her husband. It's just that some of the scenes were not good, and I really blame the writers and director for that. 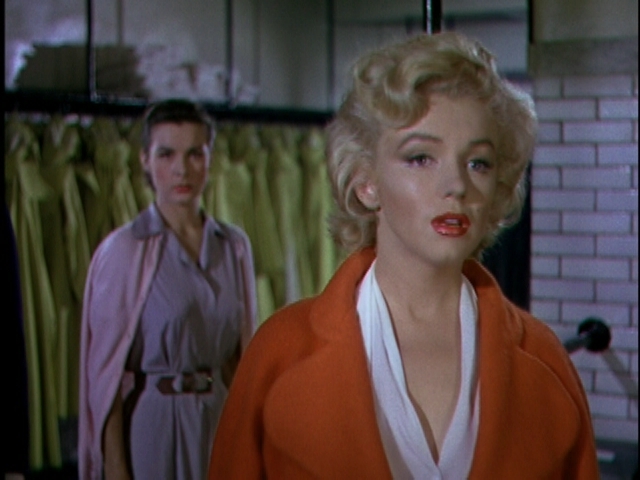 I've seen Marilyn in many movies and she always is a cinematic joy, but her acting isn't consistent throughout the movie. Sometimes it's painful to listen. Her wardrobe is gorgeous and she knows how to show her good side though. I really liked Marilyn. I wonder how much more famous she would have been had she not been doing prescription drugs, but had more confidence in herself. She would have grown into a Meryl Streep perhaps? Her dying made her a legend too. I don't think people want actors to grow old, they want them to be sealed in a young body forever. She had a sad life. I agree with much of what you're saying, Zen. 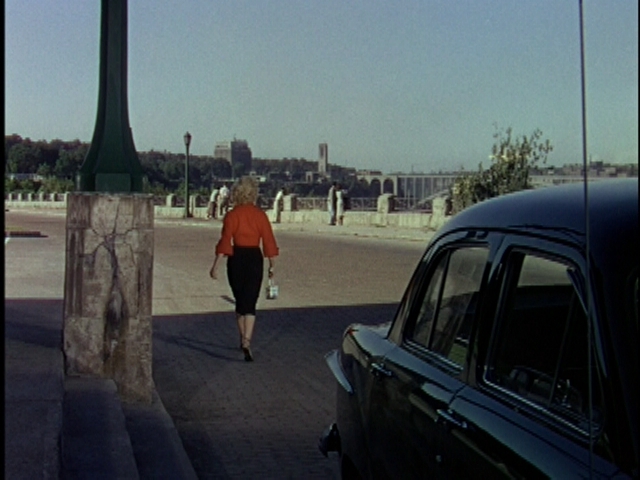 I often say that Marilyn's acting gig was...well, being Marilyn. It's a persona that Norma Jean invented for herself, a character. 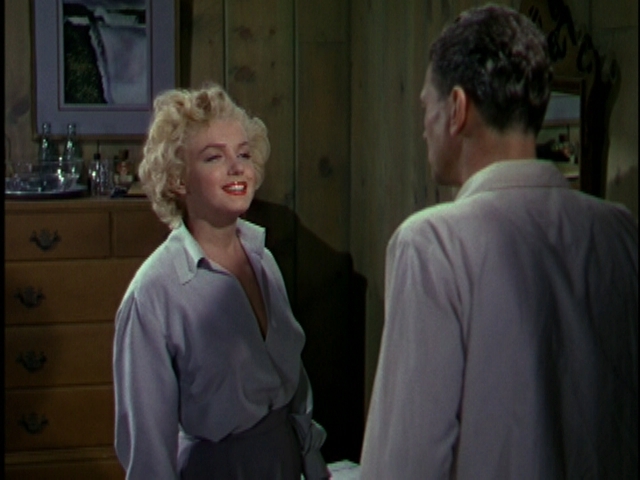 Marilyn is charming in movies when she's being Marilyn, such as SOME LIKE IT HOT. But it's when the character of Marilyn then tries to act like yet another character in a dramatic piece, for example...that's when the acting is much more challenging for her. But you said it...she photographs beautifully and seems to really enjoy being onscreen. That joy is felt by the audience when they watch her. It's an interesting question what would have become of Marilyn as she aged, both in appearance and acting ability. Sadly, we'll never know.